What's Going on With the iPhone 4S battery? The original iPhone 4 stumbled out of the gate with an infamous antenna issue that left many users very disappointed. And while the problem was eventually resolved in a modified housing that carried forward to the recently released iPhone 4S, the latest model seems to be suffering from its own serious performance issue. Battery life. Whether or not it's fixable with a software patch, special trick, or voodoo incantation, one thing is for sure: It's a problem. In a thread titled 'iPhone 4s Battery Life?' on Apple's official support forums, there are already thousands of posts with unofficial test results and theories as to why the iPhone 4S's battery life isn't up to snuff. And there are more than 100,000 views from users trying to find an answer. It seems like not even Apple knows what's going on just yet. A couple of days ago we reported on a story in The Guardian that Apple's senior engineers had been contacting users complaining about battery life issues. One user in particular had found their iPhone 4S battery draining in excess of ten percent every hour, even when in standby mode with features like Siri and location services completely deactivated. And after asking them detailed questions about their usage, an Apple engineer had them sync and install a special file that would presumably provide more details about the problem. But at the moment there is no official solution, no definitive answer, and no word from Apple as to why it's happening—or when a fix might be on the way. Just speculation as to what might be the cause and reports on how bad it is. Over in the MacRumors forums, one user reported a dead phone four hours after going to sleep with at least 60-percent battery life remaining. Went to bed last night around 1130 PM with 60% battery life. Closed all open apps. Got up around 330 AM for a restroom run and noticed my phone was dead. That's scary because my iPhone is my alarm clock! I am on the phone all the time - even so the iPhone 4 yielded twice the usage as I'm getting now with my iPhone 4S. It's a great phone, but this battery issue is a pain! 1) Drain the battery until the phone shuts off on its own. When I first started draining the phone, I was losing about 5-7% per hour in standby. As the battery drained, the rate the percentage was dropping got slower and when it got to 1%, it sat there for almost an hour. Then it finally shut itself off. I recharged back to 100% in one sitting, and now it's got the same or better battery life my 3GS had that I was upgrading from. 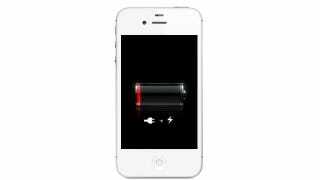 A flaw in Apple's location services system in its new iOS 5 software is increasingly suspected of being the cause of rapid battery drain for some owners of the iPhone 4S. A growing number of people have found that the "Setting Time Zone" element of the Systems Services within the broader Location Services product seems to be operating even when there is no chance that the user would have moved to a different location or time zone. An icon beside the setting, which indicates whether it has been used in the past 24 hours, suggests that it is running repeatedly to access the phone's location even when there is no apparent reason to do so. Switching this off will mean your phone won't automatically know when you've traveled to a different time zone, but testing has found vastly improved battery life on handsets where this was deactivated. However, since this setting also exists in older iPhones running iOS 5, it's probably not the definite solution to the problem with the iPhone 4S. So we know there are plenty of you who've already upgraded to the iPhone 4S and have had the chance to spend a couple of weeks with it. Do you have any tricks? Horror stories? Let us know in the comments. And weigh in on the poll below too—we're very interested to see what kind of battery life you're getting. Have an iPhone 4S? How's Your Battery?